Veripur : At the top of his list of “changes” is preventing the spread of germs through good hand hygiene. Which is where Veripur Hand Sanitizer Moisturizer comes in. “As a pediatrician and dad, I’m an expert in how little hands—and big ones, too—can carry and spread germs that lead to colds, flu, and other diseases. 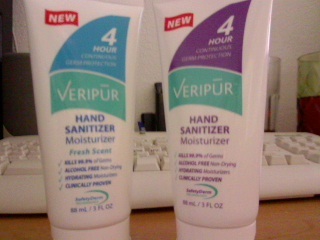 I was recently sent 2 bottles of Veripur to try and review, I was sent Fresh Scent Hand sanitizer Moisturizer, And the Original Veripur Hand sanitizer. I was excited to try these because I can't go anywhere without sanitizers in my purse. I just don't like them because they are liquid and they are messy sometimes. The first product I tried was the Veripur Fresh Scent sanitizer, The first thing that caught my attention was the beautiful fragrance that the Fresh Scent product has. To me it smelled like fresh laundry with a hint of lavender. 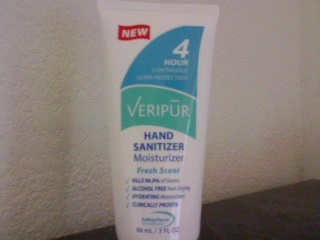 Veripur Isn't like most hand sanitizers that are clear liquid that dries your hands out. 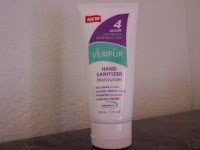 Veripur is a white cream based product that does moisturize your hands. I had very dry hands when i recived this product and as soon as i rubbed it in my hands felt fresh, soft, and not dried out like other sanitizers. My hands also smelled fresh after applying this product. The product at first made my hands slippery but i kept rubbing it into my hands and it absorbed completly and back to normal. I love the Fresh Scent Product. 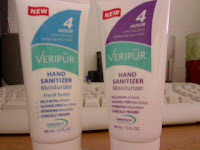 The second product I tried was the Veripur Original Hand Sanitizer. 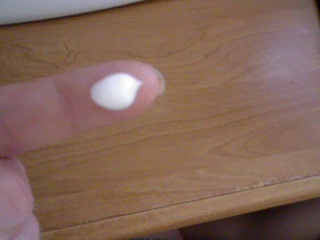 This one is perfect for people with sensitive skin since it has no fragrance what so ever. The Original had a slightly more slick feeling while on my hands I had to rub it in just a little bit longer then the fresh sent product. 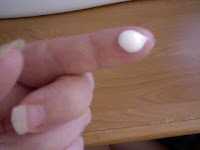 It Didn't leave my hands dried out and left them soft and smooth withought fragrance. As you can see the Original Veripur is a white cream base just like the Fresh scent product, Its creamy like a hand lotion but with the germ protection. Both Fresh scent and Original last up to 4 hours of Continuous Germ Protection! Your regular liquid messy sanitizer has nothing on this!